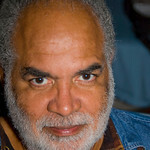 Peter Hendricks is a Jamaican born Atlanta resident who returned to school after 38 years working in the computer industry to pursue a degree in photography. His interest in photography started over 25 years ago as a hobby, but he admits he didn’t really know what he was doing. “Anything good that resulted was more accidental than deliberate”. After many years of trial and error and some formal training, the confidence wrought from knowledge transformed interest into a passion. "It's essential to be able to wake up each day and do something that you are excited about". Peter enjoys the creativity of "making" photographs and has been previously published in Lake Oconee Living magazine.